To keep my Lotus Esprit company, I have bought a 1969 Ford Mustang Mach 1. I bought this car in March 2017. It is finished in black jade paint and has an original black vinyl interior. 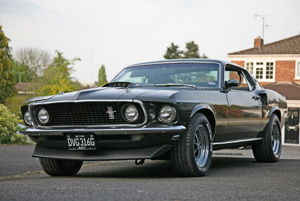 The Mustang has a 351W V8 4 barrel, a flow master exhaust system, an Edelbrock Performer carb and new Magnum 500 wheels. 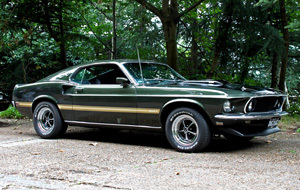 Hi, my name is Mark and this website is a dedicated to my 1969 Ford Mustang Mach 1. I bought this car in March 2017. It is finished in Ford Black Jade paint with black upholstery. 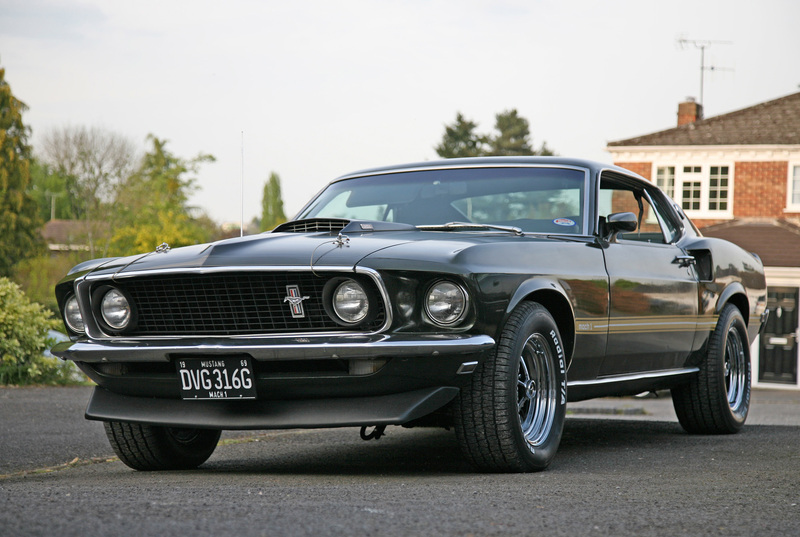 The Mustang is a matching numbers car and has a 351 Windsor V8 4 barrel M code as it left the factory. It has been modified with an Edelbrock 1406 Performer carb and a Flowmaster exhaust system. The car has spent most of it's life in California and was imported to the UK in 2012. Since then it has spent it's time in a heated garage near Glasgow with a careful Owner. 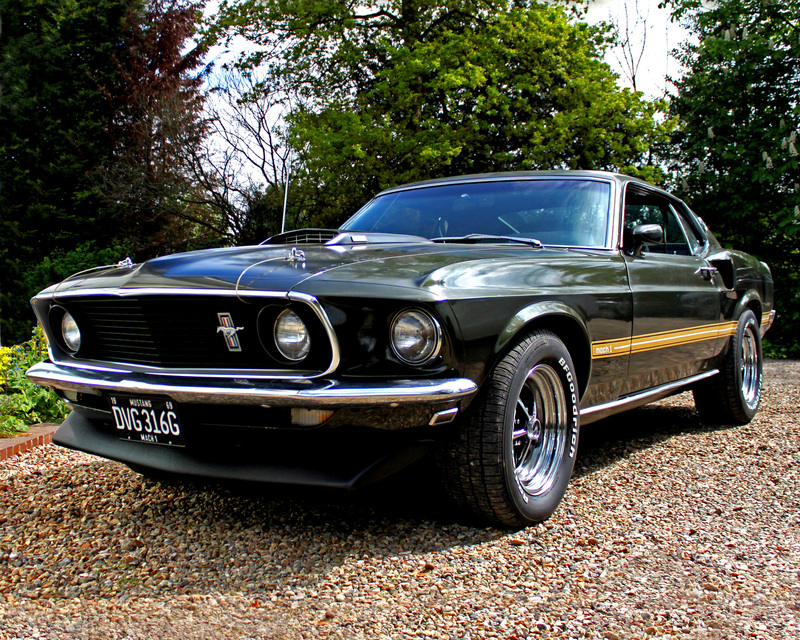 I was told about the car by a Mustang Specialist in Glasgow called Javed. He has many years of experience with classic Mustangs and kindly inspecting the car for me. 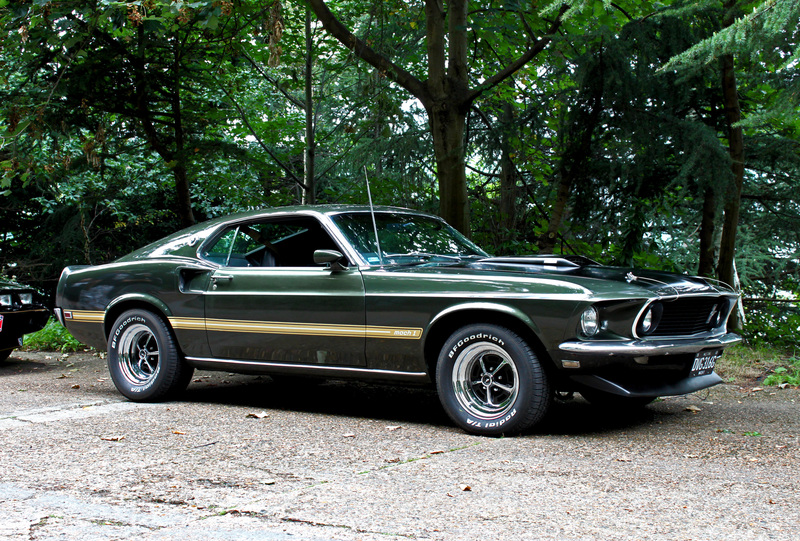 After a thorough inspection, he described the Mach 1 as an original survivior car and in time warp condition. No rust, original floorpans, original suspension and FMX transmission. 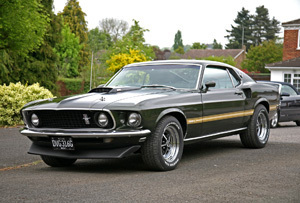 He said it looked like the Mustang had only been driven for a few years in the late 60s and early 70s. On his recommendation I bought the car in March 2017. 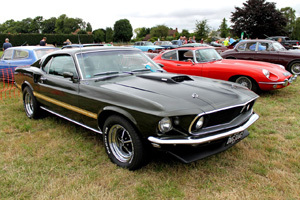 He was spot on, the Mustang was in incredible original condition. Big thanks to Javed! The car was issued with a new MOT and I purchased the car. Tornado Automotive in High Wycombe serviced the car. Mike commented about the Mustangs amazing condition. Since I have owned the car I have added wider 15x8 Magnum 500 wheels on the rear and BF Goodrich 235/60r15s tyres on the front and 255/60r15s on the rear. I have kept the original wheels for originality. The paintwork was looking very flat, as it had oxidised in the Californian sun over many years and lost it's colour and shine. So I had the paint restored by Hailey Specialist Cars in Shiplake, Oxfordshire. They spent 2 days machine polishing the paint with compound and sympathetically bringing the paint back to life. I also fitted some period show plates as the original plates didn't look in keeping with the car. 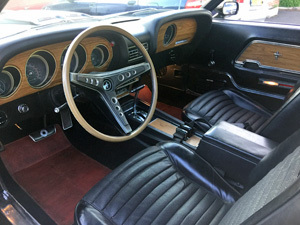 I also bought a full set of new black Mustang mats for the car, to protect the original carpet. I took the Mustang to Tornado Automotive and had a new 14" Edelbroke Air cleaner fitted, with a rocker cover breather fitment. A new distributor cap was fitted as the old one had worn. Mike also fitted a new master cylinder as the old one was leaking and he bled the brakes. He also fitted new spark plugs and did the timing as it was out. The car drives a lot smoother now. The mpg is not so good though, it's doing 6-7 mpg! Need to get that sorted. The low mpg was due to the vacuum advance pipe being disconnected. I connected it and it seems to be getting better mpg now! I had a new fuel line to the carb fitted as the old one decided to burst, leaving a gallon of fuel under the car and a litre of boiling petrol on the inlet manifold! A total nightmare situation! Fortunately I managed to mop up the petrol quickly before anything nasty happened. The fuel line had eroded from the inside out, so was difficult to spot. Watch out for those fuel lines people! I was having starting problems, so I took the car to Tornado Automotive. Mike diagnosied the problem as a wiring issue, the wiring to the ignition had been fitted incorrectly. 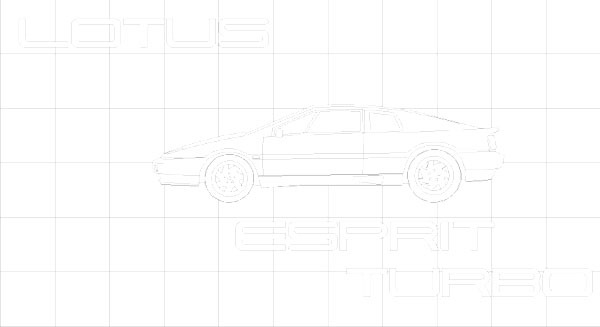 The car starts first time now. The original radio in my car was working but it couldn't pickup UK radio frequencies. And one of the door speakers was not working either. Even if it did work I wouldn't be able to hear it over the sound of the engine. I thought it was time for an upgrade. So I bought a Retrosound Hermosa stereo to fit in the existing radio surround. It's a much better quality system than the original Ford unit, it fits perfectly and looks almost identical. It features Bluetooth, USB and a radio. I also bought a pair of top of the range Alpine R-S69's for the rear and Hertz DCX 460.3 for the door speakers. I had a John Kleis Audio, a well established firm in Reading, fit the stereo and speakers, as I wanted it done properly. They spent a day fitting it and creating specially made rear speaker boxes behind the rear seats for the Alpine Speakers. They fitted it in a way so that the original stereo and speakers can be refitted in the future if required. The new sound stereo system sounds incredible quality and I can hear it very well over the engine too! There's me and my old school friend, with his 1970 Mustang fastback. He's fully restored the car at a cost of £30,000! I set about improving the engine bay, as there was surface rust on the tower shock to cowl braces. I removed the braces, then used wet and dry paper to remove the rust and sanded them back to the metal. After that I primered and resprayed the braces in satin black. I then did the same to the left side tower shock. Also this month there was more fame for my 69 Mustang. 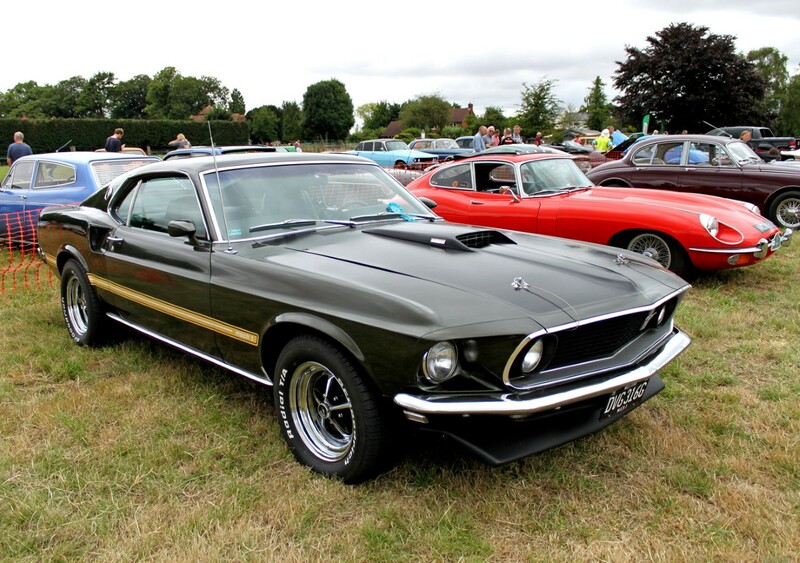 Classic American magazine published a photo of my car, from Brooklands American day in September. I purchased an oval air cleaner from Scott Drake and a chrome export brace. They are supposed to improve handling, as they stiffen up the front engine bay. I also bought a dixie air horn, for a bit of fun!